This family friendly fun run features a distance for everyone. 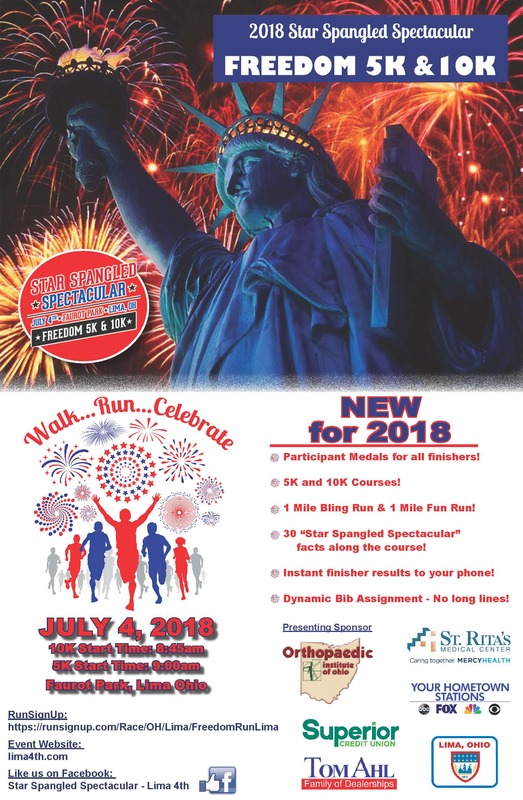 The traditional 5K distance remains at this Fourth of July event, along with a new 10K. For those looking for a shorter event there is the 1-Mile Bling Run, and a 1-Mile Fun Run. All events begin and end at Faurot Park in Lima, Ohio. Make a day of it and stay for the festivities and Fireworks! Visit https://lima4th.com for details!